Have you experienced that sense of satisfaction when a sick child finally falls asleep to get much needed rest? In my family, that quickly fades to stressing about the next decision: should I check his temperature? If I check his temperature now, I risk waking him up. And if I don’t, will I be able to sleep without knowing if that fever has risen since the last check? With proper design and usage, these devices can provide more information with less stress for both you and your child. While this scenario is a small part of the myriad of health care challenges we all face, I came across several options at this year’s Consumer Electronics Show that can address this problem. Devices like TempTraq and Fever Scout link a wireless temperature sensor “sticker” with a phone-based app to allow remote temperature measurements over time - without disturbing the patient. With proper design and usage, these devices can provide more information with less stress for both you and your child. I’m even more excited about the expansion of connected home medical devices that I saw throughout the show. 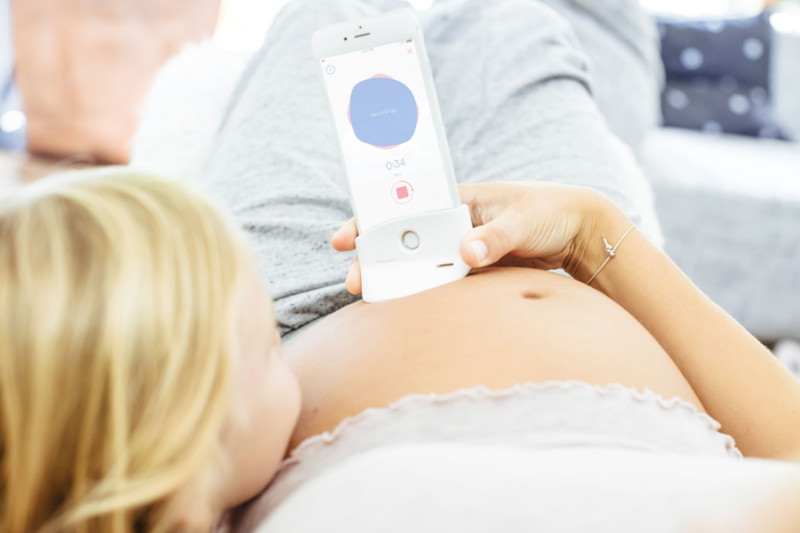 Shell by bellabeat is a simple, passive phone accessory that improves the ability to hear an unborn baby’s heartbeat using your phone’s microphone. EyeQue promises you the ability to “Test your vision anytime, anywhere.” Omron’s Project Zero wrist blood pressure monitor blends a true medical device (FDA approved) with a smartwatch look. The Motio HW is a wrist wearable that monitors biometric data while people sleep to specifically detect sleep apnea metrics. Several companies displayed connected Pulse Oximeters. And I will admit I chuckled when I first saw a “smart cane” at CES, but the Dring Smart Cane makes a compelling case: those people who need canes likely need that connectivity more than anyone. These current devices are certainly not replacements for professional health care or a visit to the doctor. But with the expansion of virtual doctor appointments, what new devices will expand the ability of doctors to gain valuable information directly from their patients’ homes? Perhaps your first aid kit will include a set of smartphone accessories that allow a virtual appointment to address more than the limited diagnoses available today. Or maybe for people with limited ability to make it into a doctor's office - either due to mobility challenges or proximity to a clinic - required tools can be shipped to your home. Tests could be conducted before an appointment, giving caregivers the opportunity to discuss the outcomes in one visit. These devices have the potential to improve accuracy and show an overall trend instead of a snapshot of any given test. And by making any sort of medical activity easy and accessible, we are all much more likely to follow the prescribed regimen and take control of our own health. By making any sort of medical activity easy and accessible, we are all much more likely to follow the prescribed regimen and take control of our own health. But like any other product, the challenge is in the details. I chose to work for Synapse because of the opportunity to work on a variety of consumer electronics while being surrounded and supported by an incredible cast of experienced engineers I could learn from and grow with. Synapse is now part of the Cambridge Consultants family, which brings medical device development and deep science research expertise, among many other abilities. Together, this combination yields exciting new potential to solve problems in our lives. I’m excited to start solving some of these problems by developing new connected home medical products that can provide doctors and patients with the data they need to make good healthcare decisions. Machine vision technology continues to rapidly advance and improve, performing object recognition at increasing rates and with increasing accuracy. What happens when the images being processed are obscured by the rain, snow, and mud of the real world? DeepRay™ is an AI technology that presents a clever solution to this deceptively difficult problem while making it look easy.